We are staying in Texas. Last week’s travels featured a GIANT DONUT and this week we are in Austin with a kickin’ breakfast platter of migas. 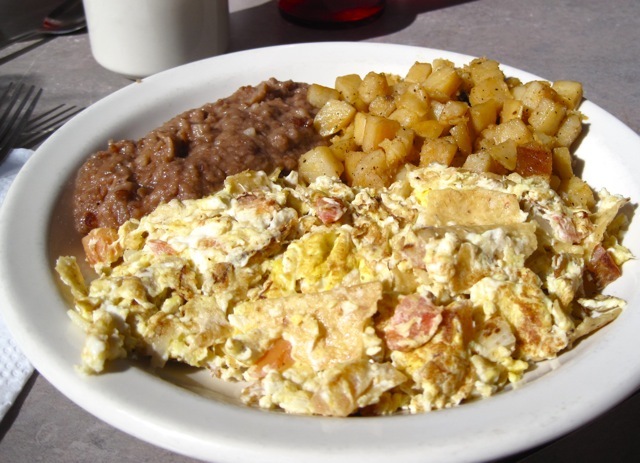 This Tex-Mex staple is scrambled eggs, with tortilla strips, onions, chile peppers, tomatoes and cheese. Juan in a Million has damn good migas and is a fun place that has been featured on Man vs Food with the famous Don Juan Taco.